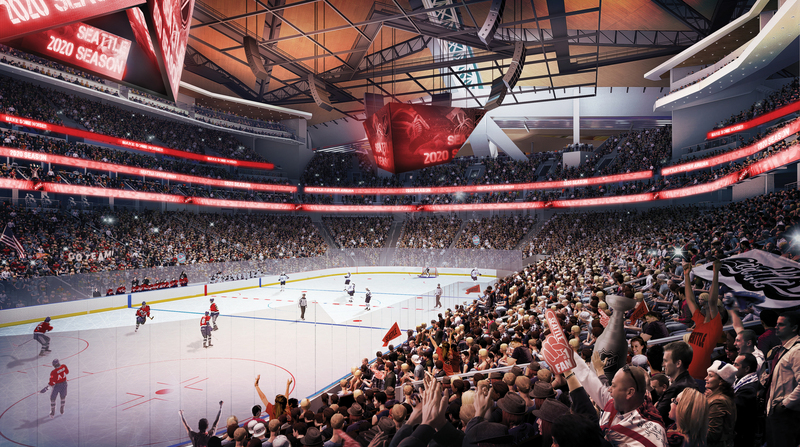 In light of a league official questioning the project’s timeline, the NHL Seattle group says it is working to complete a KeyArena renovation in time for the 2020-21 season. Billionaire David Bonderman and producer Jerry Bruckheimer are leading an effort to bring an NHL expansion franchise to Seattle. The prospective franchise is expected to receive NHL approval early next month, clearing the way for an expansion club to move into a renovated KeyArena in the coming years. The 2020-21 season has been the earliest that the Seattle squad is expected to begin play, but the exact timing has not been announced. In an article Monday on NHL.com, deputy commissioner Bill Daly indicated that he had heard the renovation might not conclude until November 2020. That would be one month after the season begins and, with the league not inclined to have the team play home games elsewhere before the project is complete, would likely result in Seattle’s launch taking place in the 2021-22 season. Daly in the NHL.com story made it sound as if Seattle officials had warned him the arena target date might be missed. NHL Seattle officials said they weren’t sure what Daly was basing his comments on and offered no further insight into discussions they have had with him. Daly did not immediately respond to a request for comment. The $700 million project at KeyArena is a major undertaking. Led and financed by the Oak View Group, the project will result in the venue being completely overhauled to meet modern NBA and NHL standards. There is a desire to eventually have leagues from both teams in the facility–Seattle has been without the NBA since the SuperSonics relocated to Oklahoma City in 2008–but with an expansion effort already underway, the NHL is by far the more imminent possibility.